UDM Downloads > Form Pilot Pro! 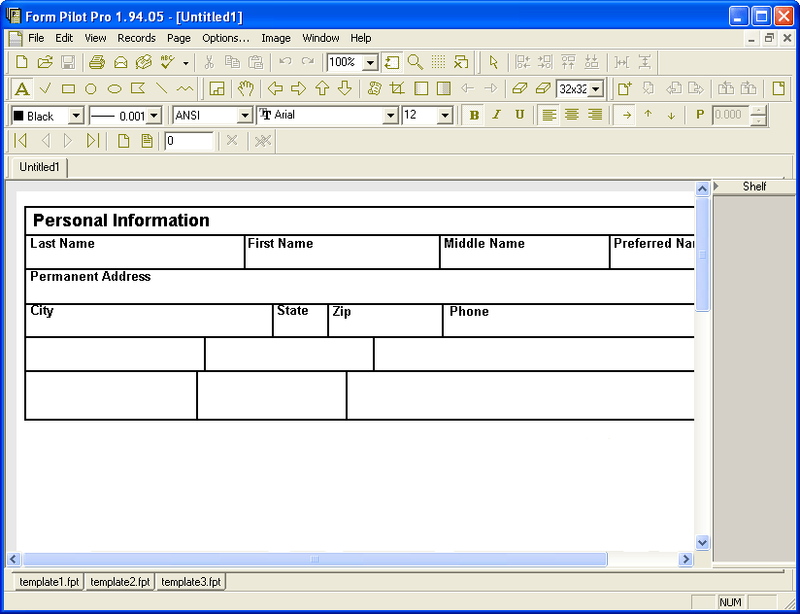 Form Pilot - form filler software. It designed for filling in paper forms (of any type) on your computer. It makes typewriters obsolete! Our cartoon character will lead you through using Form Pilot Pro step by step, as Form Pilot Pro works for you. Company members will appreciate the ability of Form Pilot Pro to memorize edit fields since it will economize their time when they need to fill the same form again. With the program, you can save PDF forms. Form Pilot Pro works with printer fonts which makes printing process fast.